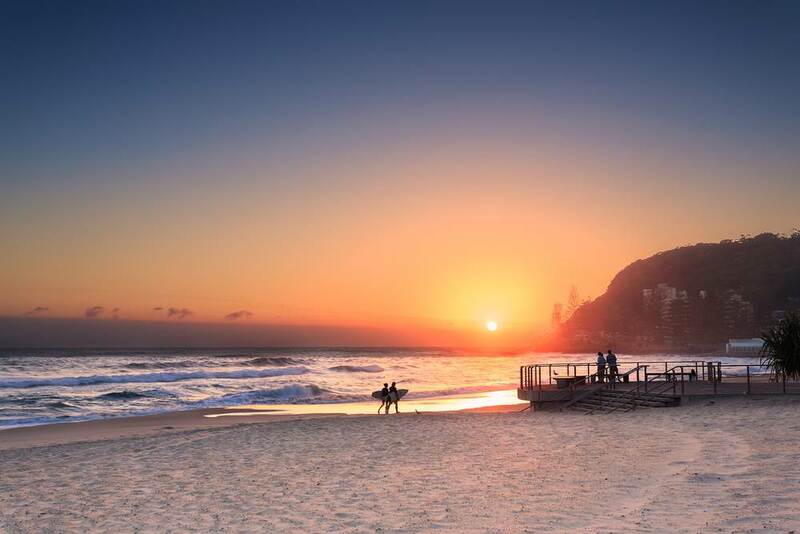 Australia is renowned for it’s beaches, and it isn’t hard to see why. Boasting with thousands of beaches across the coast line of Australia there’s a lot to choose from! The coastline stretches over 30,000 km of the mainland and the coast landscape ranges from broad sandy beaches to rocky cliffs. The Aussies take pride in their beaches, keeping them clean and pollution free, making it enjoyable for us all. But with so many to choose from how can we determine which beach is the ultimate best? It was extremely hard, but we have chosen our top five out of thousands of beaches, let us know if you beg to differ! 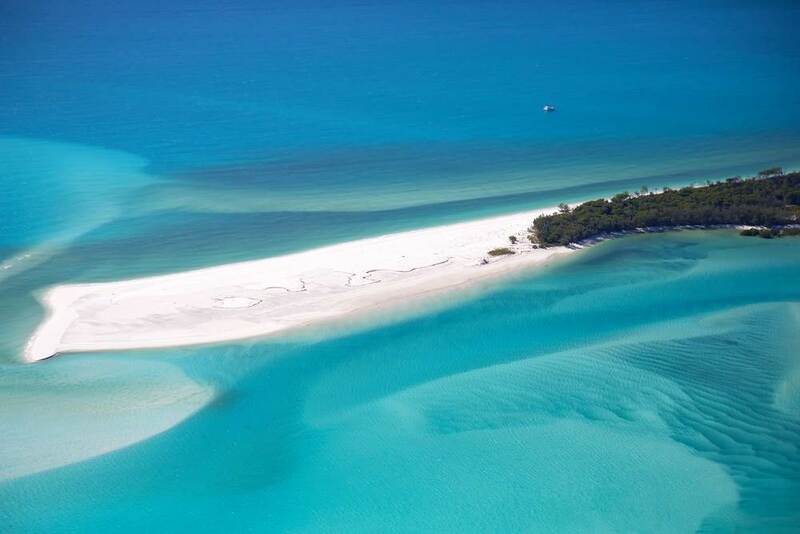 Australia’s top beach expert, Brad Farmer has voted this the best of the best. He just released a book on the annual 101 best Australian beaches list. 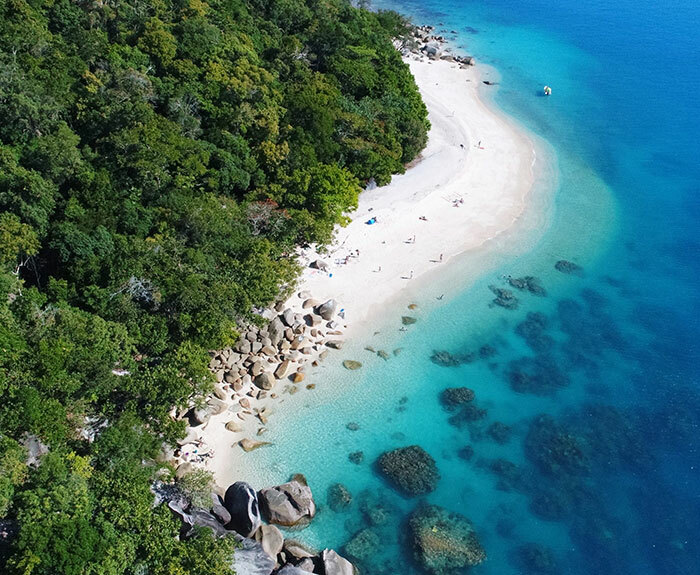 Before you start getting ideas Nudey Beach doesn’t live up to it’s name, “The only thing stark-naked at Fitzroy Island’s Nudey Beach is her offering of pure tropical assets,” says Farmer. The island is nestled in amongst the Great Barrier Reef, surrounded by coral and rich colourful marine life and is covered by the tropical rainforest. If we could rank two beaches at number one then Whitehaven would be one of them! Coated in the most purest sand in the world so fine and blindingly white providing the most softest touch. Coupled with endless sunshine the white sand perfectly contrasts with the multiple shades of vivid blue water. This island is also perfect for snorkelling and has an incredible view from the tongue point of the beautiful mosaic like sea. This beautifully untouched stretch of shoreline is famous for it’s mesmerising views of the most beautiful bright sunsets. Bounded by sand dune and ochre red cliffs, there is no better place to sit back and soak in the unforgettable views. 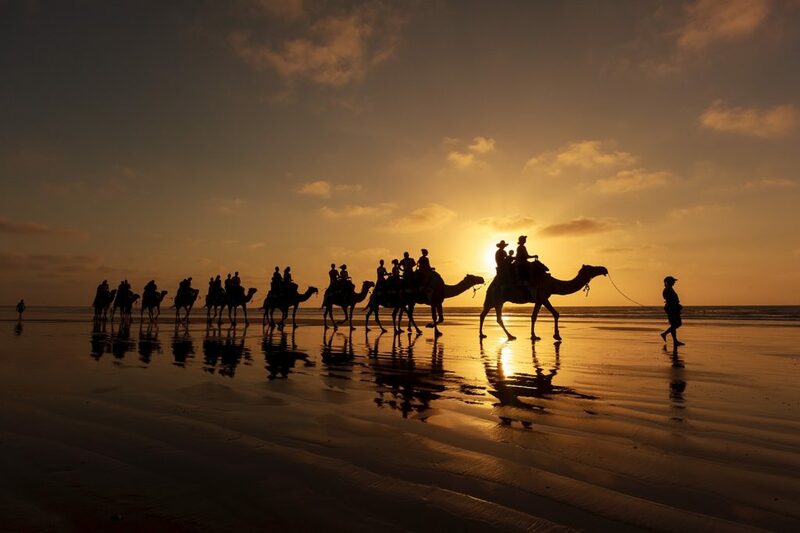 Cable beach is also famous for it’s iconic camel rides, giving you the most magical experience. Despite being located alongside a busy highway, this untouched paradise is clean and unpolluted with great surf conditions. The beach has numerous winding walking tracks across the stretches of the coastline to go exploring and watch the wildlife. It is also home to abundant rainforest, pandanus, mangrove and marine life. The surrounding parkland area is a popular option for those who want a nice picnic and swimming sections are patrolled by lifeguards which makes it family friendly. There’s no surprise of how Turquoise Bay got it’s name, it’s coral coast waters are among the calmest, cleanest and clearest in Western Australia. 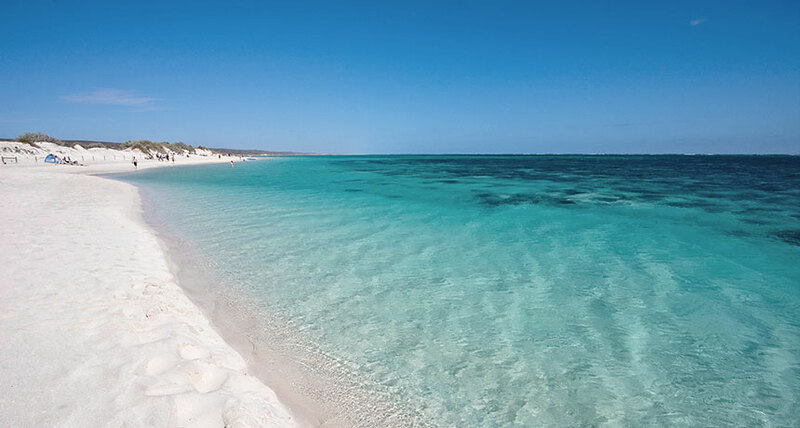 located just a few meters off Ningaloo Reef—which is home to more than 500 fish species—and is perfect for snorkelling. If you’re planning to just rest or relax then this beach is the one for you, the pristine white sands are almost always deserted, making you feel like you’re on your own private stretch of uninterrupted paradise.